This community garden will have significant visibility and access on Motor Ave. The site will contribute to city beautification and stimulate social interaction. 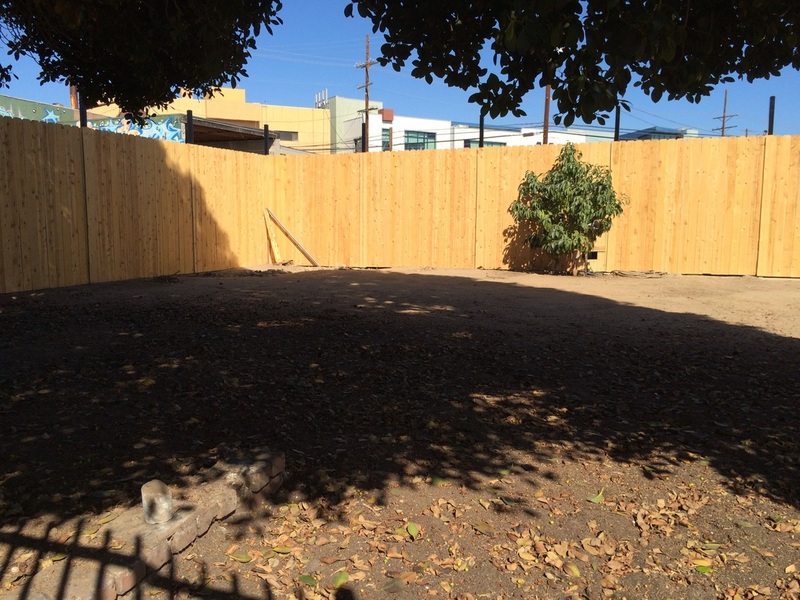 We have constructed a fence around the property, and are in the process of designing and constructing the garden. We hope to open the garden in early 2015! 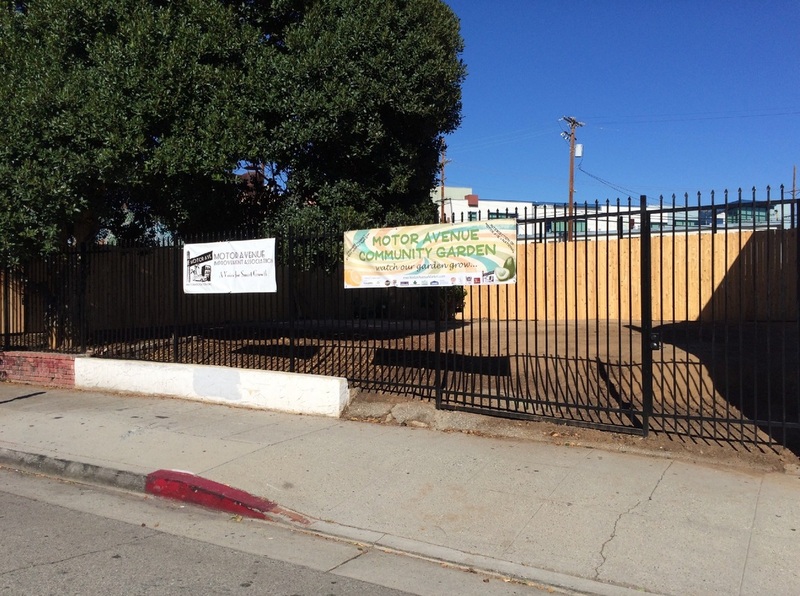 For more information about getting a plot in our community garden fill out the form at the bottom of this page! As a way to raise funds for our Community Garden we had a wonderful Fundraising Dinner in mid-March. We had live music, as well as food and drinks donated by local restaurants. We also used this wonderful opportunity to thank Supervisor Mark Ridley-Thomas for all his contributions to our community. Though he was unable to make it to the dinner, Council member Paul Koretz was there to accept the award on his behalf. Overall,it was a successful night and we hope to plan more fundraising dinners in the future! Motor Avenue has been extremely lucky to receive approval for two parklets along the Motor corridor. · Provides a public place to sit, rest, eat, and relax for business people, pedestrians, and visitors along Motor Avenue and for the Community Garden. One of the parklet concepts for Motor Ave. The Garden Parklets will be a part of the farm and nutrition theme of this program, including planter boxes and community recreation space. Both will be installed on Motor Avenue on both the north and south sides of National Boulevard in the heart of the Palms and Motor Ave business district. These Garden Parklets will be a wonderful addition to the Palms community considering that outdoor open recreation space is currently limited. The parklet will provide a perfect space for community members to utilize for growing of vegetables, recreational purposes and passersby to relax and enjoy Motor Avenue.